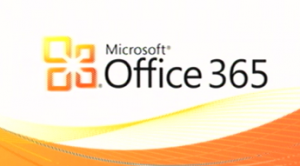 Now-a-days is not necessary to have installed in your PC Microsoft Office 2010 or the new Office 2013. You just have to get access to an Outlook email account and then open Office 365 (of course, you would need to pay a little fee to use this software) which is going to be used exactly as Office in your computer. You can open and create a Word document, also create an Excel file or create your presentation with slides and add full of images and other kind of things in a PowerPoint file. So, you can get all of these files and also you can save them directly in your Outlook account, so it means that your file will be safe in the cloud. But if you want it to take with you and have it in your pen drive or your hard drive, or maybe in a compact disc then there is no problem because you can download it and then you can save wherever you want. Also, with Office 365 you can open any file that you receive throw your email account and best of all is that this feature is for free. So, it means that if you just want to open Office files on the Internet, you can do it for free, but if you want to edit or create, then you would need to pay a little fee.